Enclosures are that part of a workspace that doesn’t hold any standard size. Customers always come up with personalized demands when it comes to enclosure systems, some requiring change in dimensions while others require change in internal design. It should be noted that these user requirements must be followed precisely as only then can the user achieve optimum objectives with maximum safety. Häwa aluminum enclosures are all based on a proven reputation that is evident in thousands of applications. The standard range of enclosures strictly follow a protection class such as UL, GL, ATEX, IECEx and sport an ergonomic design and load carrying capabilities that would give any client total peace of mind. These enclosures have UL and GL certification, and are made out of stainless steel with a protection class of IP66, along with a 180-degree hinge. The series is characterized with GL level protection and provides a flexible solution in locations prone to corrosion. As the name suggests, these enclosures are explosion proof and best for ensuring top-level safety in the face of volatile equipment. Made out of sheet steel, aluminum and plastic, the enclosures are suitable for minor applications. 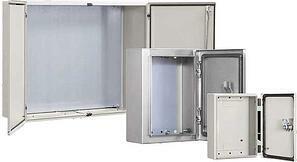 The wide range of Häwa enclosures available cover almost all types of applications, from indoor to outdoor. As the enclosures follow safety standards such as UL, GL, ATEX, etc. it is quite easy for system engineers to request designs according to their needs. The wide portfolio supports almost any kind of demand, from small-scale indoor needs to heavy-duty bomb-proofing. At the same time, Häwa ensures that minimal resources go to waste by strictly customizing the enclosure according to the user’s needs. The company’s reputation is undented, and if doubts arise, the “ISO 9001:2008 certified” stamp is enough to clear them up. At the end of the day, the target system achieves a level of reliability and safety that stands firm in the face of hazards, preventing any unnecessary breakdown. 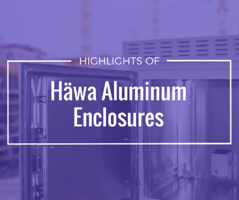 Interested in learning more about how Häwa enclosures?